Starting from humble beginnings in 2001, the Malaysia Technology Expo (MTE) started off as a platform for inventors and innovators to showcase their findings. This year, now in its 18th edition, MTE has grown to become one of the region’s most recognised and respected international invention exhibitions, each year connecting more inventors with industry players. In fact, MTE has built a culture of excellence, being known for its prestigious awards and continues to welcome over 500 exhibits annually. Themed “Asia’s Inventions and Innovations Marketplace”, MTE2019 provides a one-stop platform for inventors, designers and entrepreneurs to showcase their latest inventions, ideas, prototypes, products and designs to investors, manufacturers, distributors and marketers in Asia and beyond, paving the way to connect them with those who are seeking new ideas, as well as technological commercialisation and collaboration. Get future-ready with MTE 2019 —see and experience inventions and innovations by universities, research institutes, technical and vocational schools, secondary schools, private organisations and individual inventors from around the world who are preparing for our fast-changing world. 2018 outperformed every year before it, proving that there is so much more to be done within the technological advancement field. 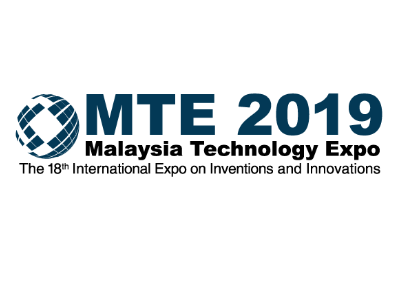 MTE 2019 promises to uphold its standing as one of Asia’s most prominent invention and innovation fairs, bringing together over 8,000 visitors and more than 500 inventions and 150 exhibitors.